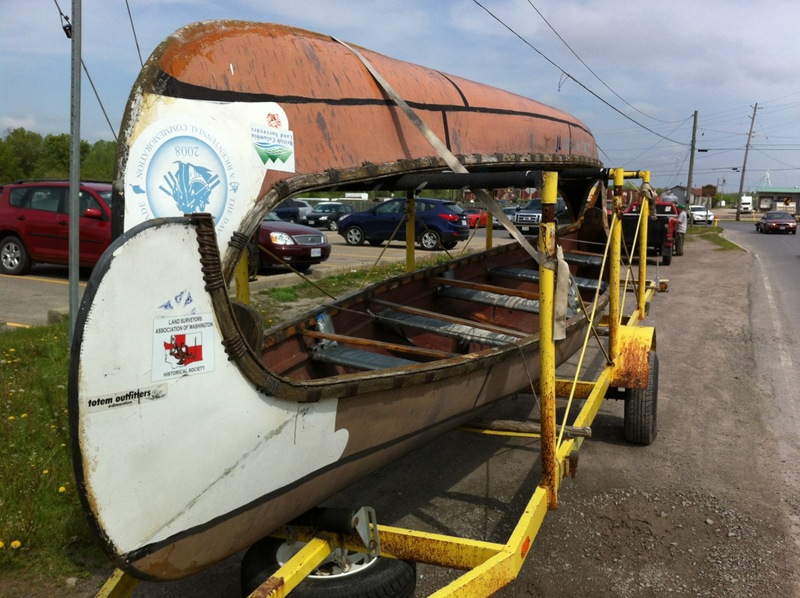 From a field near Merrickville to a parking lot in Peterborough, on long-term loan from Paddle Canada, a handsome pair of canot du nord just arrived at The Canadian Canoe Museum, via Seeley’s Bay, Ontario and the Queen’s Diamond Jubilee Pageant in London, England! Here’s what they looked like in mid-May. 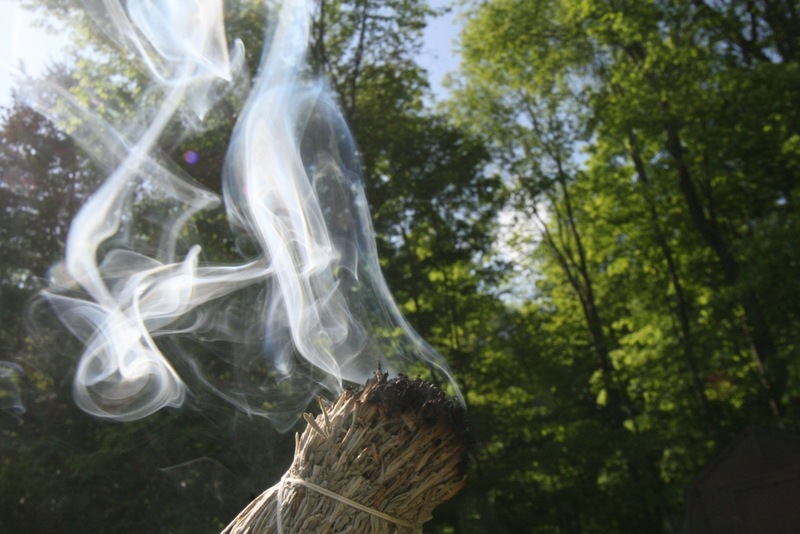 They were welcomed to the museum with a thorough smudging and a toast from the Board of Directors (who had their June meeting in Five Bay) to make sure that all will be right as they move into service at the museum. 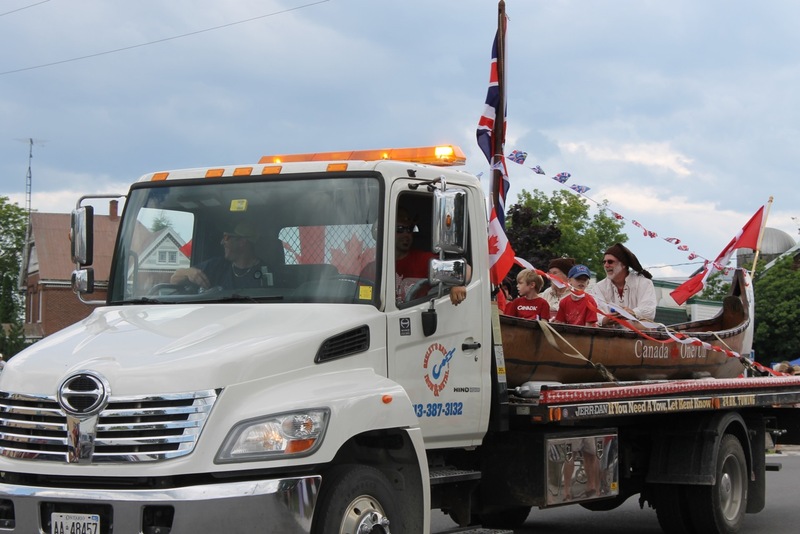 In a second rushed round of renovations, Canada One’s sister ship, Canada Two, was refitted in time for Canada Day in Seeley’s Bay, where Canada One was the toast of the town. 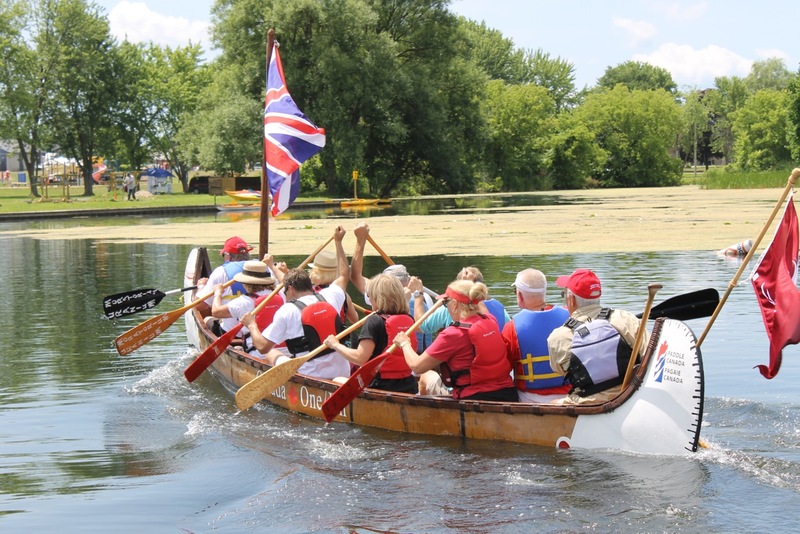 Canada One and Canada Two were involved in a number of events during the day including a tour of the Rideau for anyone who was interested in joining in and a competitive series of timed races that pitted about ten local teams against each other in quest of a Canada Day medal. 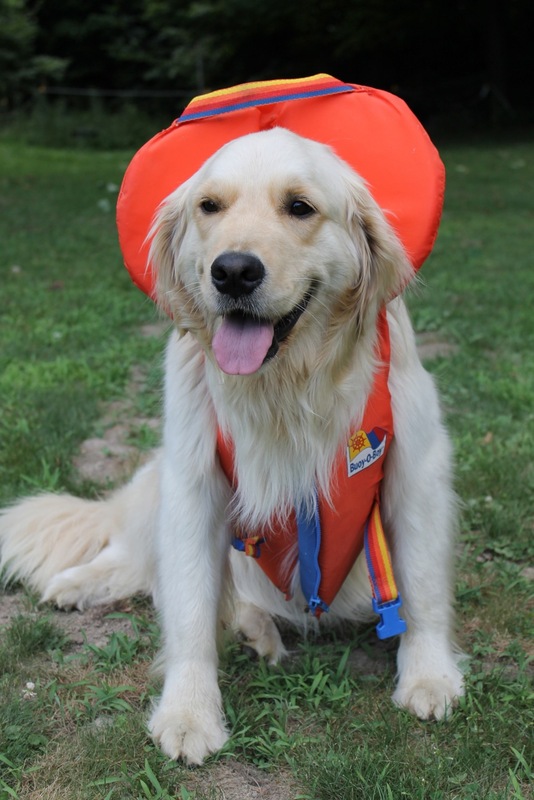 These events brought participants of all shapes and sizes. 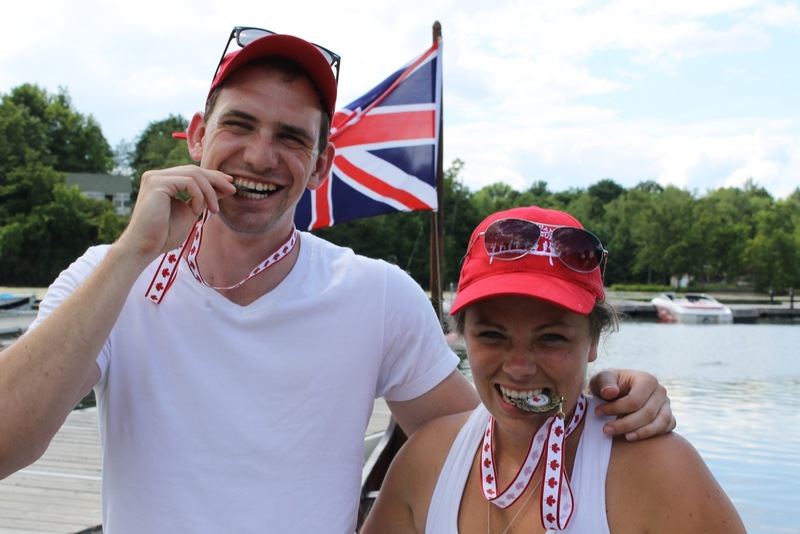 Here are two members of the winning “Zanzibarn Burners” team, Vladimir Smiljanic and Molly Raffan, testing their medals after testing their mettle. 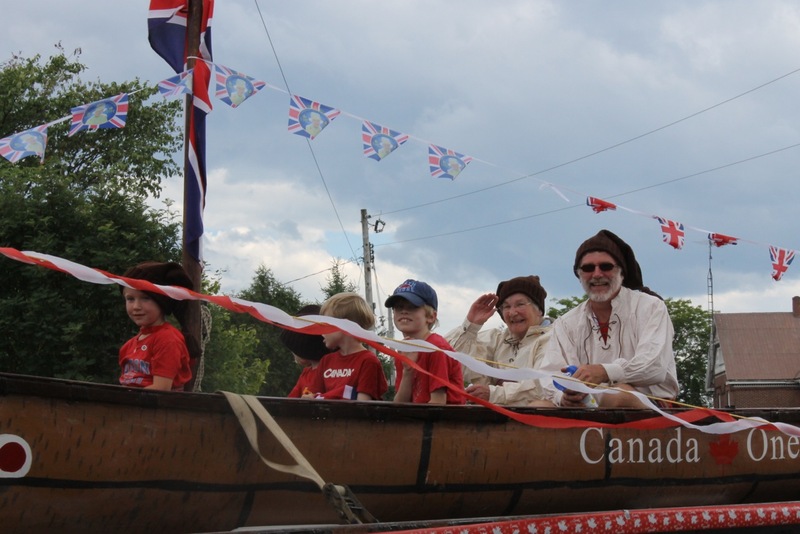 The main event for Canada One was as the guest of honor in the Seeley’s Bay Canada Day parade. Check out that genuine English bunting and the Jack (right side up this time around). The part of the Queen was played by James’s 89-year old mother, Betty. Here she is practicing her wave while the races were going on. 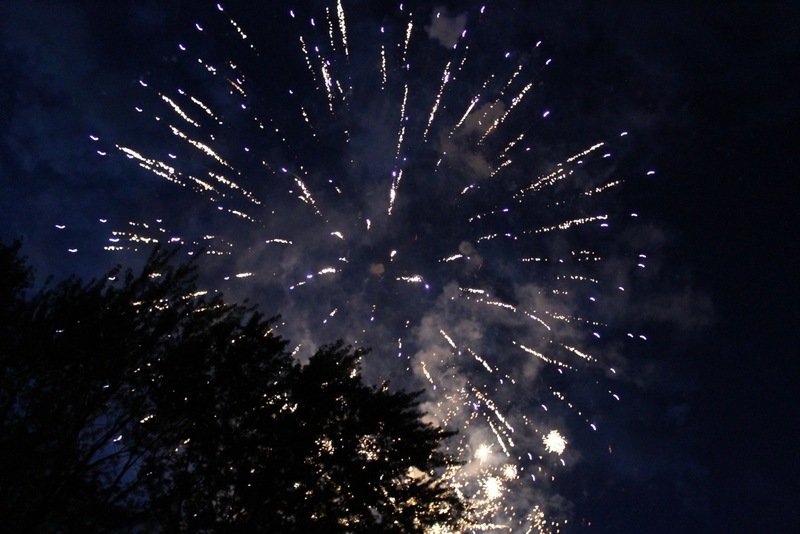 One of the unique things about Canada Day in Seeley’s Bay is that you can watch the evening fireworks display from your boat. 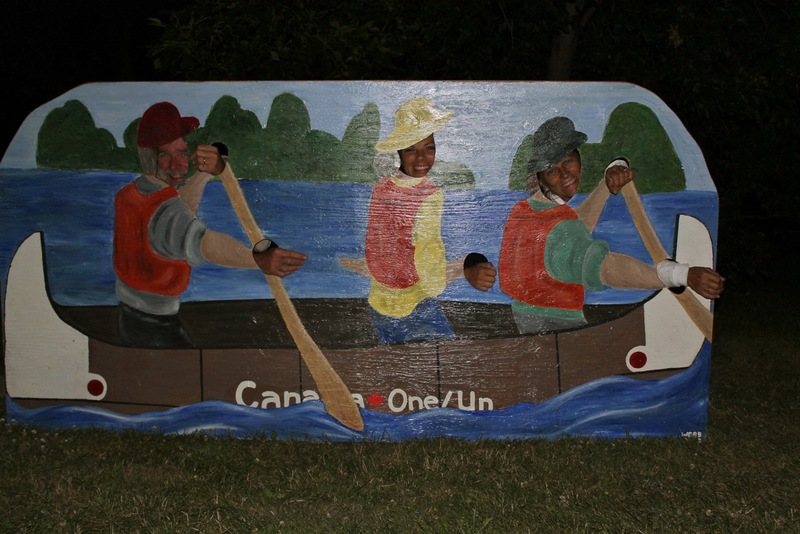 And the plan was to do so from Canada One and Canada Two but because they take a healthy group of strong people to load onto the trailer, we opted to stow them for early morning transport on July 2nd and watch the fireworks from land. 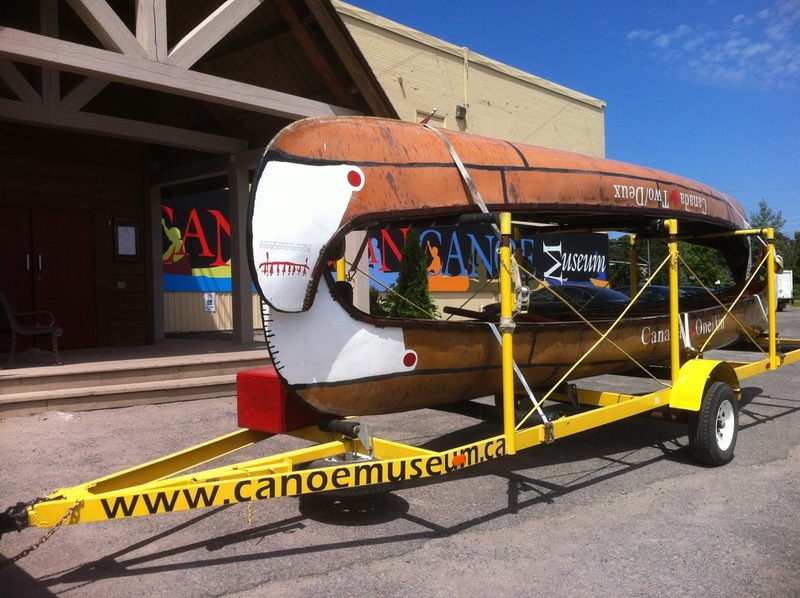 Stay tuned for details as these two canoes take their place in the program and handling fleet at the museum! 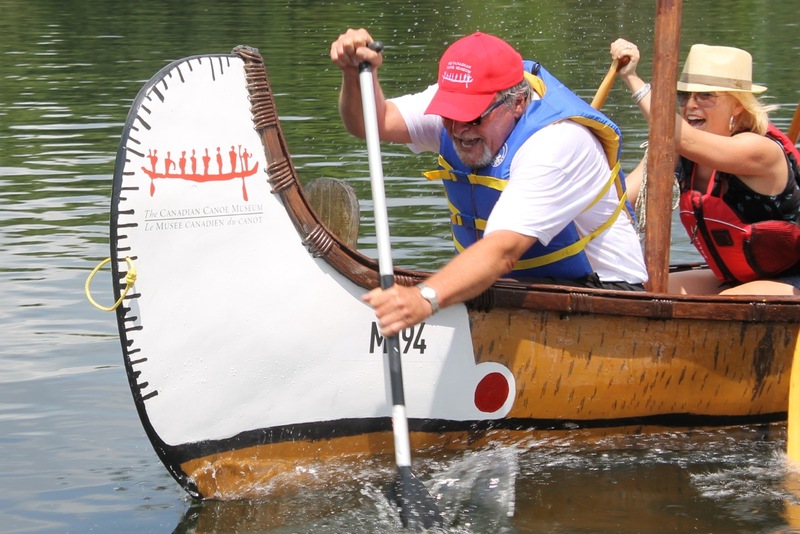 And stay tuned as well as a very limited number of signed Canada One paddles come up at special auctions around the country, including the Museum’s Beaver Club Gala auction on Saturday, October 13th. 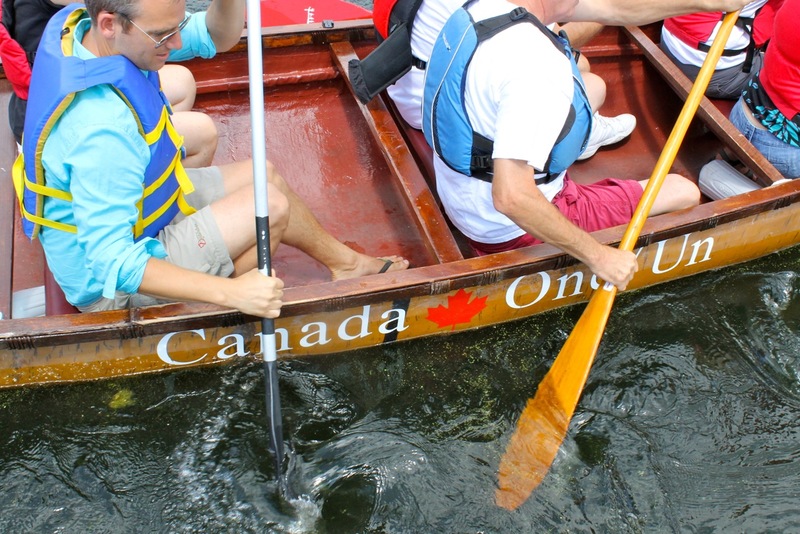 Watch as well for replica Canada One paddles and outfits in the museum store (on line and actual). 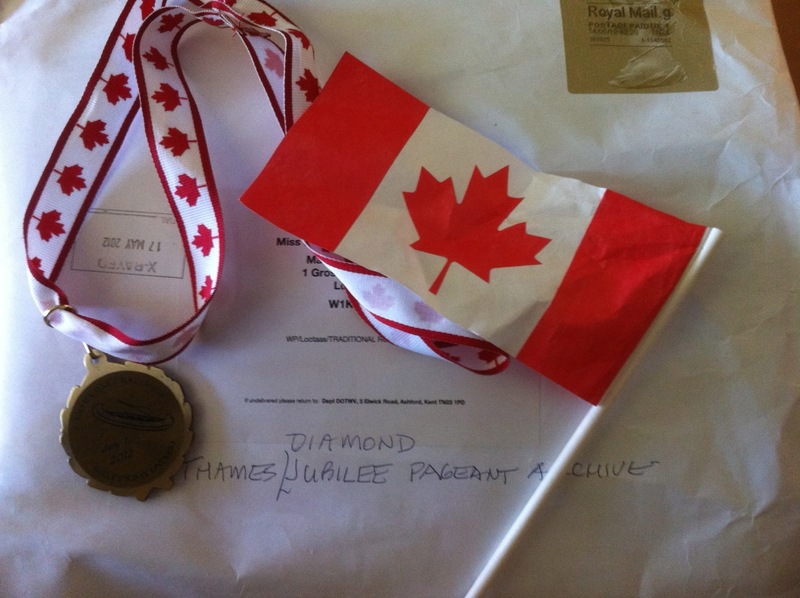 And, for anyone in the vicinity of Seeley’s Bay on Sunday, September 9th, the Interglactic Premier of the Multimedia Show called “The Incredible Story of Canada One and How This Crazy Royal Canoe Caper Almost Didn’t Happen At All” is taking place in the North Leeds Fire Hall on Main Street at 2 p.m. as a shared fundraiser for the museum and the Seeley’s Bay and Area Residents Assocation. 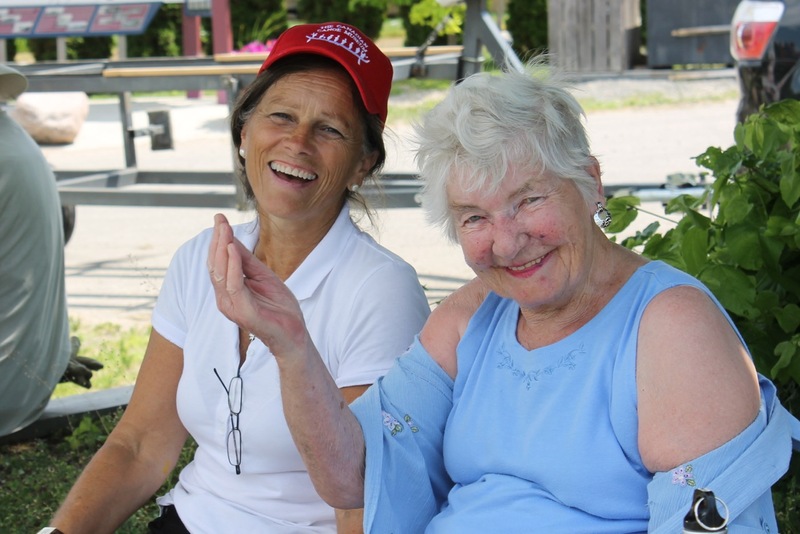 Details on the Seeley’s Bay Facebook Page. Thanks to everyone within and without the museum, in Canada and beyond—particularly the W. Garfield Weston Foundation and Canadian High Commission in London—who helped make this project possible. Together, we made it happen!!!! !